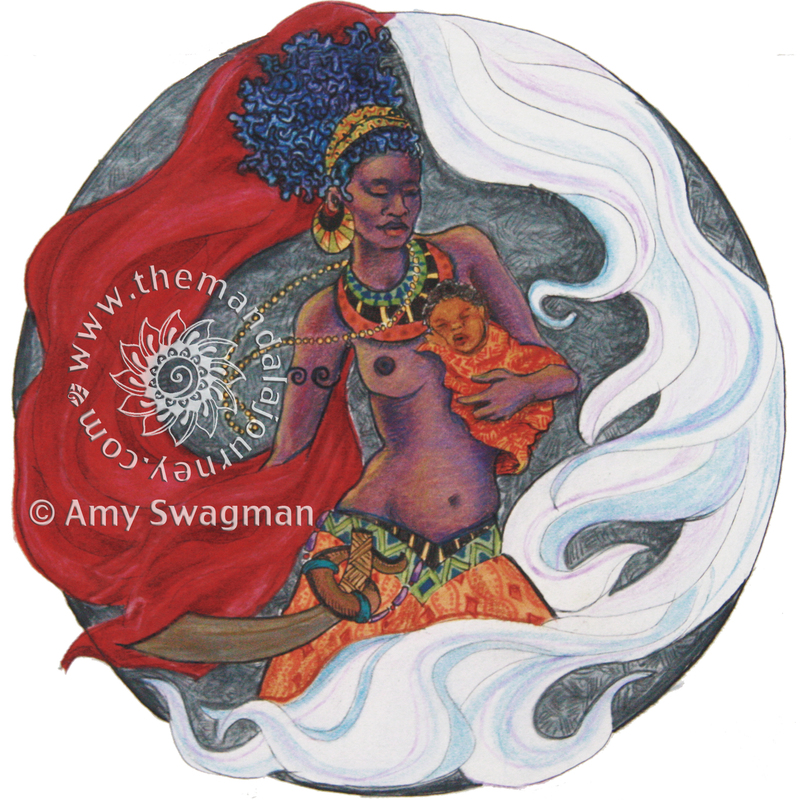 Oya is the Yorubian Warrior Goddess of the Wind who also birthed nine children. I really like her because she’s fierce and strong but also has a powerful mothering side. She is the goddess of lightening, tornadoes, wind, and female leadership. 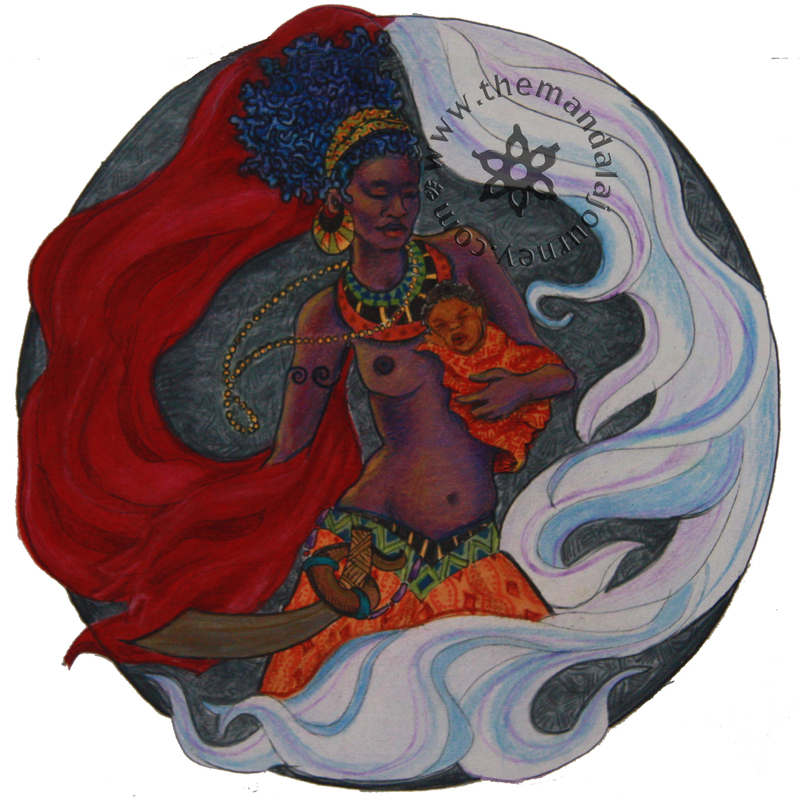 She is represented in breastfeeding images and usually carries a sword. Her motherly strength inspires us to embrace change and learn from it.